The chairman of CJ Group, Korea’s largest food and entertainment company, was arrested for alleged tax evasion and the creation of slush funds in late June. Chairman Lee Jae-hyun is under suspicions of dodging millions of dollars in taxes by stashing secret funds and misappropriating company funds. Some of the money was alleged to have been laundered through the purchase of artworks. For years, art transactions have been means for Korean conglomerates to create slush funds or evade taxes. Samsung and Orion Group were found to have been involved in money laundering and creating slush funds through purchases of expensive artwork in 2008 and 2012, respectively. Such frequent illicit use of artwork raises the question of why conglomerates resort to using art to create secret stashes. “It’s because the Korean art market lacks transparency,” Hong Kyoung-han, art critic and editor of art magazine Kyunghyang Article told The Korea Herald. Art dealings in Korea are often clandestine. Artworks are bought and sold anonymously so that auction houses and galleries don’t disclose the names of buyers and sellers, especially when transactions involve famous and expensive artworks and antiques. On top of that, prices of artworks are not fixed like retail prices of commodities. Using the price differences or forging receipts, one can easily launder money to create slush funds through art dealings. CJ chairman Lee is suspected of using the names of his executives to buy famous paintings, sculptures and furniture worth 111 billion won ($96 million) in total from 2005-2007. 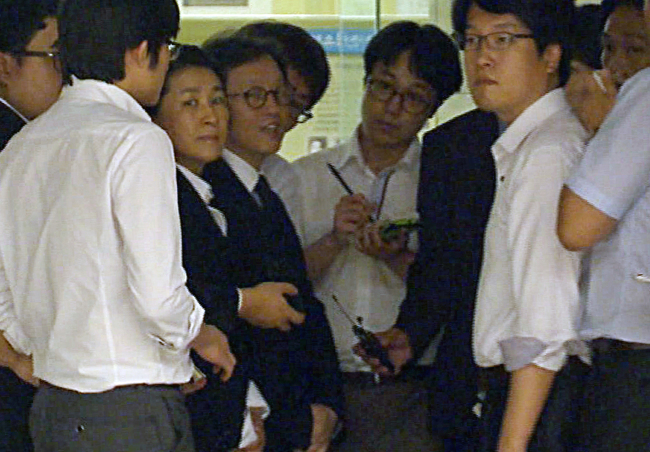 Hong Song-won, the head of Gallery Seomi, is known to be the secret hand behind conglomerates’ slush funds. She has been under numerous suspicions of assisting by inflating the costs of artworks and forging transaction papers. Art experts say Hong may not be the only one helping business owners misappropriate funds. 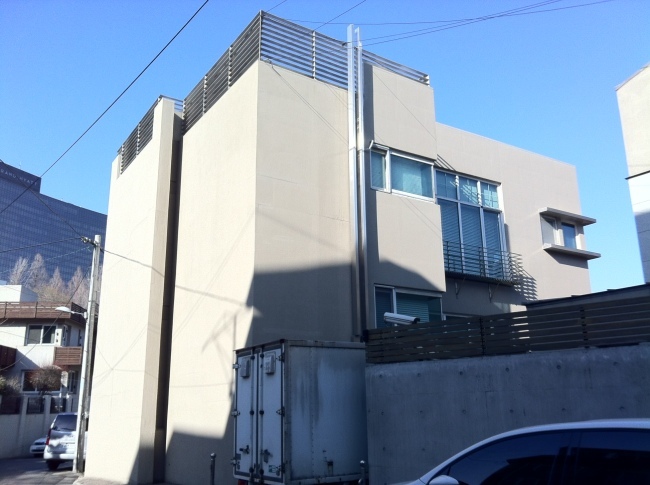 “We can guess based on a couple of previous allegations that Gallery Seomi is not the only one doing it. The gallery just became a target because of its many links with major conglomerates,” said art critic Hong. Large conglomerates are not the only ones exploiting the system. Small and mid-sized companies also seek artworks as a tool to launder money. “It’s not just big companies, but small and mid-size companies use art in creating slush funds,” said Yang Lynn, director of the Seoul branch of Able Fine Art NY Gallery. “Someone once approached me with a strange deal. He suggested he would send 10 million won per month to the gallery but he said he didn’t want any piece. I guess it was for money laundering. He never explained which artwork he wanted or how he would purchase it,” she said. “I didn’t accept the offer. I suspect these things happen to other galleries. I can tell it to the public because I didn’t accept the offer, but I am sure such deals happen in Korea,” said Yang, who worked in the art market in New York for 10 years before managing her gallery in Seoul. In some markets, such as the U.S. and U.K., money laundering through art is often linked with crime organizations. According to the Association for Research into Crimes Against Art, art crime is the third-largest criminal activity worldwide, organized by crime groups to fund their enterprises, drugs and arms trade. “In the West, if a company uses art in money laundering, that is a deathblow to them. It’s a huge damage to a company’s morality,” said Hong. Hong said the way artworks are perceived very differently in Korea and other countries stems from the history of their art markets. “In Korea, art has been bought and sold for only 50 or 60 years. But in Western countries, it started in the 14th century. And the size of the Korean market is much smaller than others. The size of the annual art transfer in Korea amounts to just 400 billion won. That is almost equivalent to the total amount fetched by paintings of two Chinese artists, Chang Daichien and Qi Baishi, sold at global auctions last year,” Hong explained. Regulations also prevent artworks from being used illicitly. Places like the U.S., U.K., France and Japan require people to pay taxes on transfer gains in art transactions. Hong Kong and Singapore do not impose strict regulations, but instead offer generous tax benefits to buyers of art. In Korea, there were few regulations overseeing art transactions until January this year. Art transfers were tax-free unless galleries made the art their official property at the end of the year. The new law that went into effect in January imposes a 20 percent tax on artworks valued at more than 60 million won that have been owned for by the seller less than 10 years. “It has been loose in Korea. And many people have been abusing it,” said Hong. In the long term, transparency is the key to eradicating clandestine deals involving artworks. “We should implement the real-name transaction system. It will discourage buyers in the beginning because their names will be revealed. But in the long term, it will encourage those who purchase artworks to do it for the love of art,” Hong noted.